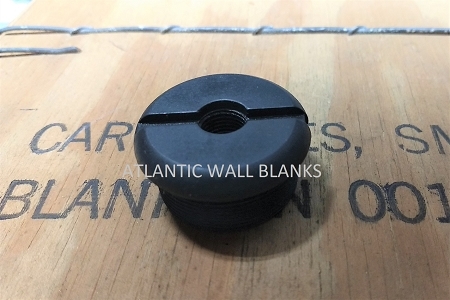 Screw on blank adapter for the M1919A4 machine gun or semi-auto rifle copy. This will fit US military ".718 DIA" 30.06 boosters but will not fit Israeli boosters. Installs by removing the end of your existing booster and screwing this part back in it's place. Then simply install one of the included 3/8 NC set screws. Blank adapter must be removed and live fire booster re-installed before live fire use. Made from 4140 Pre hardened steel for long life, finished in flat dulite-black bluing. If you are not sure what type of booster you have, click here for information.